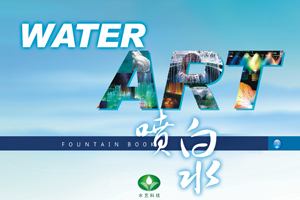 Guangzhou Water Art Fountain Irrigation Garden Co., Ltd has researched and developed water-saving irrigation equipment, water fountains, and sculpture art manufacturing technology products since 1987.It also continually produces world-class quality fountains, water-saving irrigation system, arts and crafts sculptures, garden products and ancillary equipments.Our company also imports irrigation products and garden machinery. Our company can offer exclusive survey, planning, design and all round knowledge tomake sure our projects such as all kinds of music water fountains, water landscapes, gardens, water saving irrigation and artificial sculptureshave excellent quality. In China and the world where there are fountain , landscape , water-saving irrigation , arts and crafts sculpture, where should have our company. With the support of our scientific design and exquisite crafts, our products will bespread to the world. Our company guarantees the quality of our products and programs we contracted. Our company is willing to work with friends from various circles at home and abroad to have technical exchanges and joint cooperation. Our company has been cooperated with Chinese Ministry Water Resources and Drainage Company since 1988. Cooperated with Wuhan Hydraulic and Electric Institute to develop and test new products. 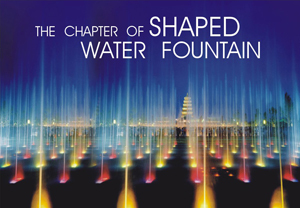 Our company undertakes the production, maintenance and upgrading of large scale musical fountain, water curtain film , laser projection, lighting and sound , background music , garden water features, irrigation, sprinkler irrigation, micro-irrigation , drip irrigation system, subsurface irrigation , golf course irrigation , gardens, cooling, dust , water park, spa , swimming pool, sauna, computer music fountain , laser water curtain fountain, cold fog fountain and other projects. Our company wholesales and retails all kinds of fountain nozzles (made ​​of copper and stainless steel) and other ancillary products. Our company designs engineering and irrigation system projects, landscaping planning and other programs that provide CAD drawings and photo shop renderings for fountains.